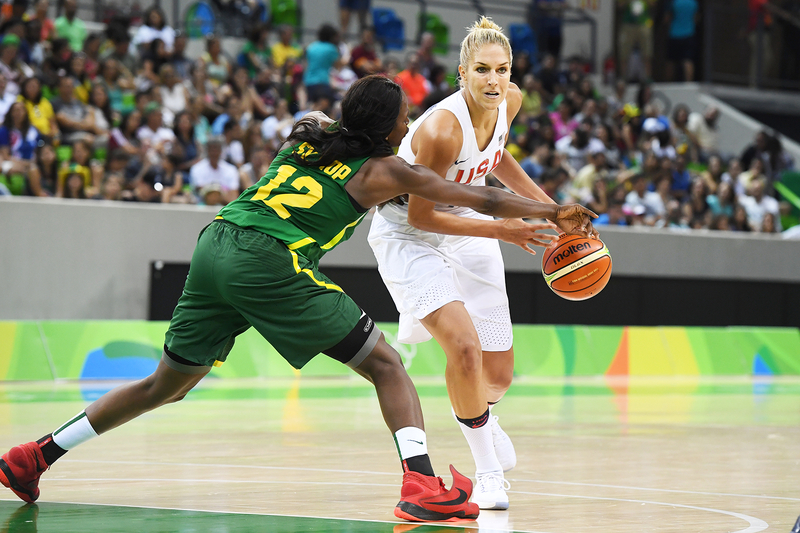 WNBA player Elena Delle Donne, who is playing with the U.S. women&apos;s basketball team in the Rio Olympics, came out as gay and announced she&apos;s engaged in a recent interview with Vogue magazine. The story reveals that Donne, 26, got engaged to her girlfriend, Amanda Clifton, on June 2. The future spouses share apartments in both Chicago and Wilmington, North Carolina. The Chicago Sky player opened up about the feature while speaking with reporters in Brazil on August 4. "It was just one of those articles where they came into my home, spent a couple days with me, and Amanda is a huge part of my life. So to leave her out wouldn&apos;t have made any sense," she said, via ESPN. "It&apos;s not a coming-out article or anything," she continued. "I&apos;ve been with her for a very long time now, and people who are close to me know that, and that&apos;s that." Last year, Donne shared a cute photo of the couple driving to Chicago (for their big move) with their dog. "@thewrigleydelledonne and @mandaclif hopped in on the car games. Chicago get here already!!! #bored," she captioned an Instagram pic of them on the road. Clifton will surely be cheering on Donne during the Olympics. The athlete helped her team beat Senegal 121–56 at Youth Arena on Sunday, inching them closer to clinching a fifth consecutive gold medal. "She is a once-in-a generation type of player," NBA deputy commissioner Mark Tatum said of Donne in Vogue. "She’s a Steph Curry." In fact, Donne has won the same honor as the Golden State Warriors NBA star. She was named the Most Valuable Player of the Women’s National Basketball Association in September 2015.